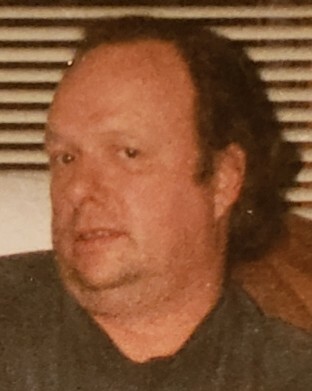 Gary Wayne Cooley, 68, of La Porte, passed away on Wednesday, January 30, 2019 at La Porte Hospital. Gary was born on January 23, 1951 in La Porte, IN, to Oliver Leo and Ruby Della (Bennett) Cooley. On August 27, 1976 in La Porte, IN, he married Sharon Kay Boardman who survives. Also surviving are his beloved children, Lisa (Bob) O'Banion, Heidi (Tim) Smart and Donald (Aura) Cooley; 14 grandchildren, Jill, Eric, Nicole, Max, Mariah, Jade, Sonny, Stacy, Megan, Kerry, David, Noell, Aaron, and Ronell; 5 great-grandchildren, Adam, Austin, Olivia, Sephoria, and Raiden; siblings, Betty Inman, Rose (Jerry) Jozwiak, William Cooley, LeoMae Ritter, Thelma Cooley, Jerry (Penni) Cooley, Orville (Karen) Cooley, Ida Cooley Cook, Patti (Bruce) Vermilyer, Carl (Sharon) Cooley, Jeana (Allen) Blake, Tim Cooley; as well as many aunts, uncles, nieces and nephews. He was preceded by his parents and his buddy, Emma, his mixed Boston Terrier. Gary worked in maintenance for 36 years at Roll Coater. He was a veteran of the United States Army. His favorite past times included fishing, camping, and tinkering. He loved his grandkids and his dog. He really cared for everyone and was always there to help. Gary was a loving husband, father and grandfather. A Celebration of Life Service will be held at 12 Noon (CT) on Tuesday, February 5, 2019 at Cutler Funeral Home and Cremation Center with Pastor JoEllyn Chadwick officiating. Full military honors will be presented. A time of visitation will be held from 10 am (CT) until the time of the service on Tuesday at the funeral home. Memorial donations may be made to the American Heart Association, 3816 Paysphere Circle, Chicago, IL 60674 or American Diabetes Association, 55 E. Monroe Street, Suite 3420, Chicago, IL 60603.